The headlines have been filled recently with the tragic news of young Canadians taking their own lives, serving to highlight a pressing issue that must be addressed: the need to provide youth with the help they need in order to prevent dire consequences like suicide. Suicide is a leading cause of death among youth, second only to accidents, and nearly a quarter – 23% – of all deaths among youth aged 15 to 19 can be accounted for by suicide. As almost 90% of people who die by suicide have an untreated mental illness, the provision of adequate mental health-related services, treatment and support can play a vital role in suicide prevention. More generally speaking, mental health concerns affect many of our youth, with 18% of Canadians aged 15 to 24 reporting in a 2004 report that that they had a mental illness or substance abuse problem. These issues are the focus of the Right By You campaign, led by Partners for Mental Health, a national charitable organization dedicated to transforming the way Canadians think about and support mental health. The Right By You campaign asks people across the country to speak up and declare to government that youth mental health can no longer be ignored and that greater support and funding is necessary. The status quo is unacceptable, as only one in four children and youth with a mental health problem or illness will receive treatment. The average delay before children with diagnosed mental health issues get treatment is 12 months and more than 20% wait more than a year; meanwhile, parents wait up to three years on average between suspecting that their child has a mental health issue and the beginning of treatment. Clearly, change is desperately needed when it comes to access to mental health-related services for children and youth, especially when we consider that 70% of mental health problems and illnesses have their onset during childhood and teen years. As well, for every $1 spent on early intervention and treatment of mental illness in children and youth, an estimated $7 will be saved in future health care costs. 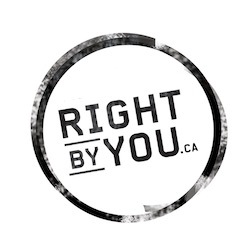 The Right By You campaign calls Canadians to drive change by signing a petition that calls on the federal government to invest $100 million over four years to create a national suicide prevention fund that will provide matching funds to provincial and territorial governments, or to not-for-profit organizations. As well, the petition also asks that provincial and territorial governments make mental health-related services, treatment and support available to all children and youth when they need it, regardless of their families’ ability to pay. At the moment, government-provided health care only covers the cost of psychological support services provided by psychiatrists – unless in a crisis or urgent situation – with whom there is typically a one-year waiting period for an appointment. Psychologists’ services are not covered by public health insurance plans, and as such, the families of children and youth seeking mental health care must either pay for such services privately or contend with the long wait to get an appointment with a psychiatrist. More than 26,000 people have already signed the Right By You petition, and supporters across the country have also contacted their elected representatives and organized events in their local communities to bring attention to the campaign and the issues surrounding youth mental health, using toolkit materials provided through the Right By You website. It’s time to do right by our future generations by getting young Canadians the help they need. For more information about Right By You and to sign the petition in support of youth mental health, visit www.rightbyyou.ca. Kirby, M. & Keon, W. (2004). Report 1, Mental health, mental illness and addiction: Overview of policies and programs in Canada (Chapter 5). Interim report of the Standing Senate Committee on Social Affairs, Science and Technology. Waddell C, Offord DR, Shepherd CA, Hua JM, McEwan K. (2002). Child Psychiatric Epidemiology and Canadian Public Policy-Making: The State of the Science and the Art of the Possible. Can J Psychiatry, 47(9), 825-832.